Chololo, the ’secret formula’ for the future of development aid? The expansion of a community-based project in Tanzania is challenging the traditional top-down model of development assistance, proving that money is not the most important thing when it comes to helping people. 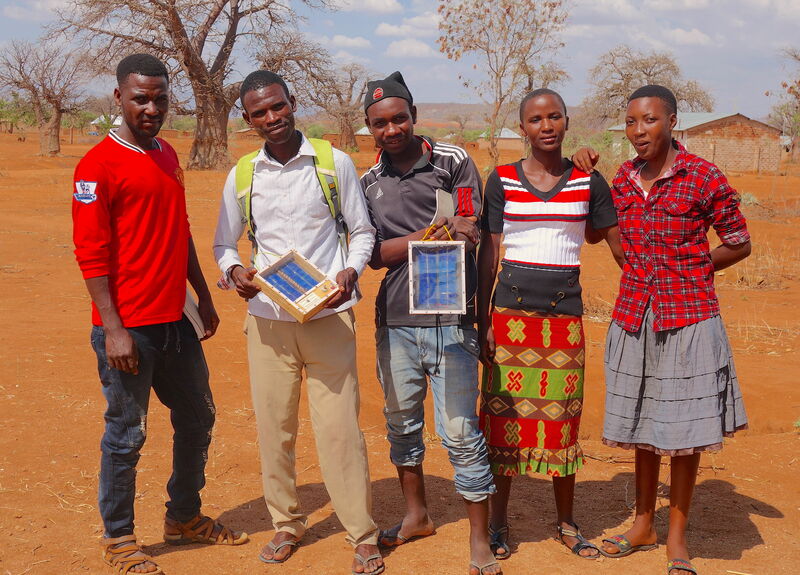 Johanes, Magdalena, Lucineti, Dina and Charles recently set up a new venture called the Kikombo Youth Group. Their hopes, at least in the short term, rest with a small box with three lines of mini-solar panels on it and a bunch of cables that can charge almost every smartphone model on the market. “We were inspired by the story our teacher told us about one of her students, who was trained in solar energy and now he owns a shop,” explained Charles Zakayo. They sell the home-made device for 15,000 schillings (€5.70), a fraction of what you would pay for a portable battery on Amazon. The pitch of these young Tanzanians takes place miles away from any major ‘tech’ capital of the world. But the scene is also worlds apart from the EU-Africa summit taking place the same day EURACTIV met with them in Kikombo, a dusty small village in Dodoma district. 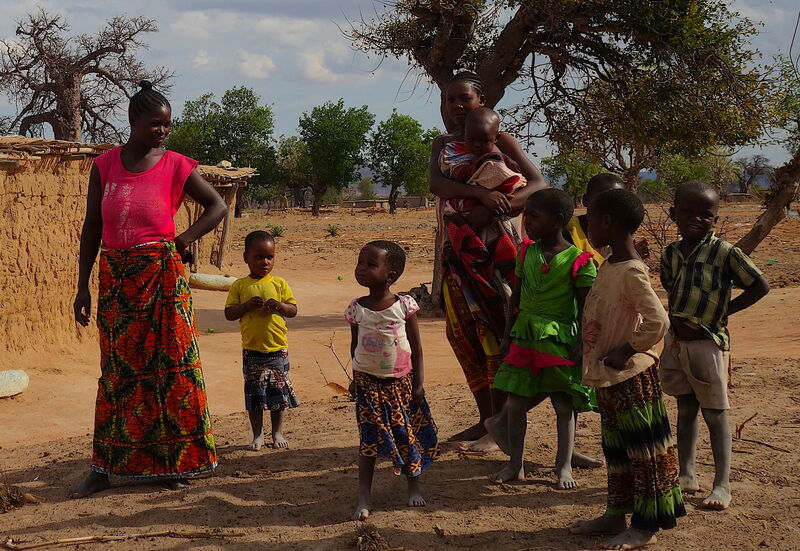 This is one poorest areas of Tanzania, one of the least developed countries in the world. While EU and African leaders discuss how to offer opportunities to young Africans to stem their arrivals to Europe, migration does not come up any time during the conversation with these young Tanzanians. Instead, they speak of serving their community and expanding their venture, as Steve Boustred, the project officer from Tanzania Organic Agriculture Movement, pointed out. While people have to pay 300 schillings (€0.10) to charge their mobiles at the shops, they offer it for free. “We could also sell the boxes more expensive because not everybody have access to the electricity grid, but we preferred to maintain these prices… and still we make 5,000 schillings (€1.90) of profit per box,” explained Lucinety Musa. Looking ahead, the plan is to buy more tools and materials to keep building boxes. This youth group is the latest unintended success derived from a EU-funded project that started a few years ago in a neighbouring village, Chololo. At first glance, it would be easy to find reasons to escape from Chololo, Kikombo and any other village of this region. Dry baobabs in the semi-arid landscape are a powerful reminder of the harsh conditions from dawn till dusk. It is a vast emptiness where scarcity abounds. But a second look reveals that Chololo is vibrating. The village, with around 5,500 inhabitants, is having its own version of a construction boom, the most visible signal of the radical transformation ongoing in this place since 2011. That year, a EU-funded project introduced small improvements in key areas of the daily lives of the villagers, including farming, water management, forestry or livestock. The small-budget, community based project turned Chololo upside down. 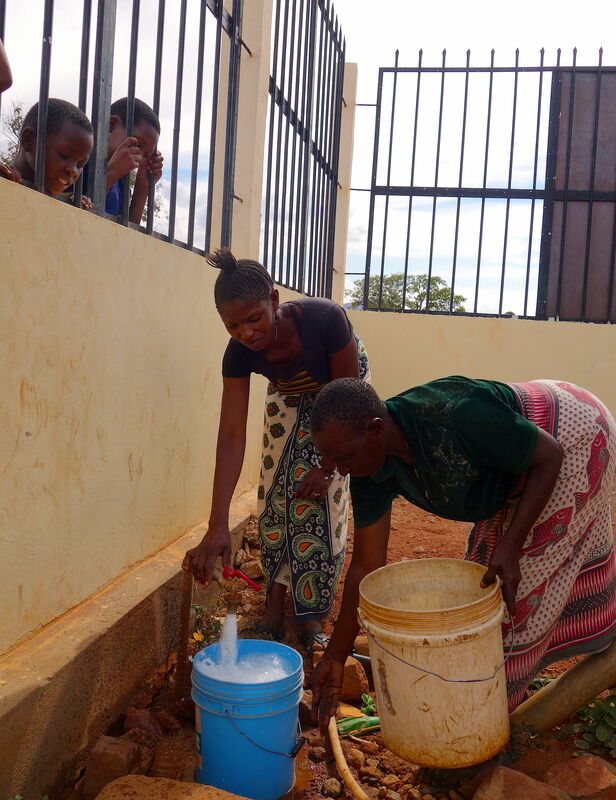 Families that struggled to make it through the dry season now build new houses and enjoy privileges out of reach for most Tanzanians in urban areas. Keneth Manyono is one of the farmers who improved the quality of his livestock through a cross-breeding provided by the project. Now his goats reach more than 30 kg in just six months, while it took two years for the previous breed to reach 20 kg. His improved livestock not only grows faster but it is also more numerous, as the offsprings are usually twins. He gets twice the money he got before per goat, 80,000 schillings (€30), the same money he pays now to follow the Spanish and Italian football leagues via the new antenna standing outside his place. 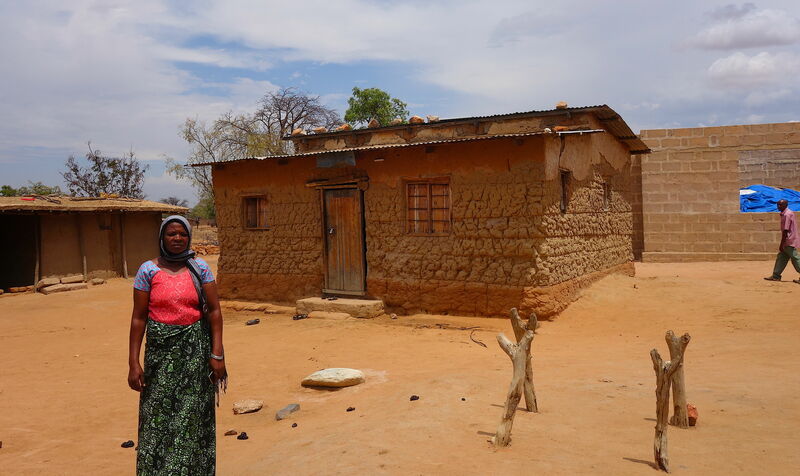 Chololo turned into reality the EU’s former ambassador to Tanzania Tim Clarke’s vision of eco-villages to build resilience in communities hard-hit by climate change. “We launch a call for proposals under the premise that, the right people, with the right technological level, could generate a real revolution,” he told this reporter back in 2013 referring to the book “Small is beautiful” by economist E.F Schumacher. In 2013, the impact of the project was already visible in the living conditions of around 400 families that decided to join the programme. Now, Chololo has become the synonym of a success story. For many the risk is no longer the lack of resources, but how to manage wisely and avoid their own version of the wealth syndrome. “They are spending wisely,” said Francis Njau, the project manager and senior lecturer at the Institute of Rural Development Planning. The success formula of the project lies in doing the opposite of what international donors have mostly done over decades of spending billions in development aid. Big cheques were spent on colossal projects, in many cases neglecting local conditions or the communities’ way of living. But Chololo came to light only after a long and arduous exchange of views with the villagers to know their lives and needs, as they were not only the beneficiaries of the surgical interventions in key areas, but also the main actors. Around €630.000 of EU funds were allocated to Chololo . 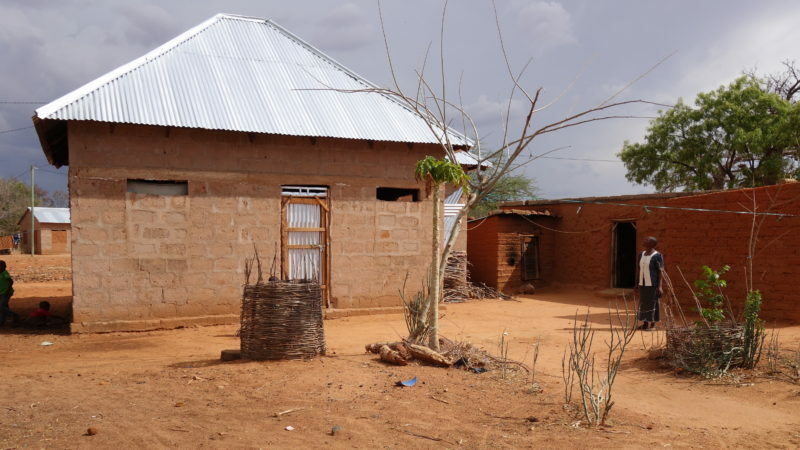 It involved the Institute of Rural Development Planning, Hombolo Agricultural Research Institute, Tanzania Organic Agriculture Movement (TOAM), Dodoma Environmental Network, Maji na Maendeleo Dodoma (MAMADO, a water management organisation), and the District Councils of the villages involved. This alliance, a ‘dream team’ of organisations with expertise on each priority field, forged the holistic approach needed to bring real change in such a fragile environment. Their cooperation, time consuming at some points, also marked a clear difference with the isolated approach of competing NGOs that is common practice in development field. Two years ago, the project embarked on a second phase to test whether the community-based approach could spread and grow to represent a serious alternative to the traditional top-down development model. Was it possible to maintain communities engaged as the numbers grow? After visiting three villages where the project has expanded (Kikombo, Miganga and Idifu), and interviewing more than forty people, including beneficiaries and non-participating farmers, it is visible that the project is also turbo-propelling the life of these communities. No place serves to reflect the ongoing change like Miganga. “This is the poorest village we are working with right now. 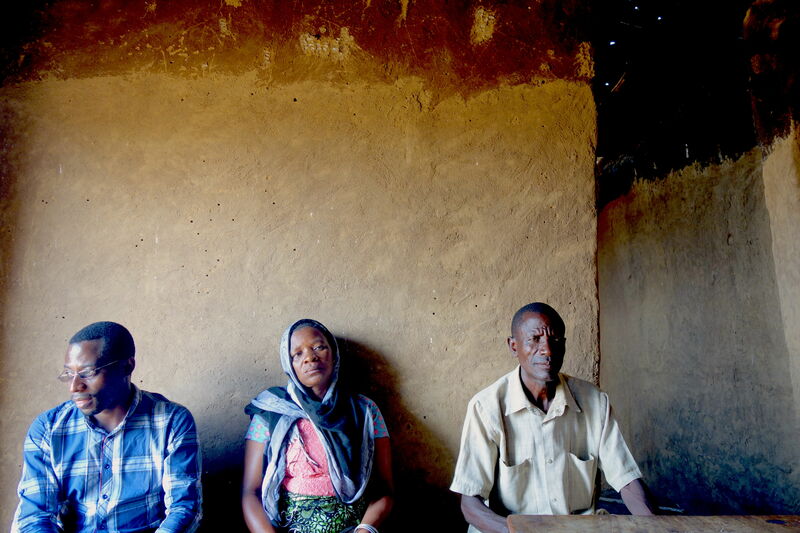 Chololo was like this when we started in 2011,” recalled Gerald Msanja, who works for MAMADO. Villagers with torn clothes walk around the clay-made small houses. They are the poorest among the poor, as the organisations selected the communities more vulnerable to climate change. “Before the programme came, I just wandered. I had no planning, and a very low quality of life,” said Jonny Gaile. During the dry season, he spent most of the day resting and drinking in the lounge, the local bar. Now he wakes up early in the morning to work on his crops of sorghum and pearl millet, two of the most common types in the region. But he has also planted trees, sweet potatoes, sunflowers, and he is preparing the land for grapes for the next season. The programme induced discipline in him, and “I am fighting to the death to implement it” he said with a big smile, revealing the deep wrinkles scoring his face. Gaile has become also a provider of the new seeds. This improved open pollinated variety, (not genetically modified) was originally brought in by the project and increased drastically the participants’ food security to levels never seen before in this area. As farmers start producing their own improved seeds, the programme gained self-sustainability and started spreading beyond the organisers’ plan. Chololo’s legendary transformation played a role in this expansion across the region. Miza Chiwanga, one of the first ones to join the project in 2011 in Chololo, remembered how a friend from a neighbouring village visited her some time ago. She wanted to buy some of the ‘climate change-proof’ seeds. Miza decided to go to her friend’s village and two others with the improved seeds. But she also taught them how to use the techniques brought by the programme (crop alternation, terraces, alignment of crops). In Miganga, Joyce Wilson learnt about Chololo because her little sister got married in Kikombo, Chololo’s closest neighbour and the first place where the project expanded. The miraculous transformation spread mouth to mouth like a wildfire. When the project arrived in Miganga, “I was anxious to participate”, Joyce said. Despite having land and livestock, she hardly made it through the year. She harvested around 20 bags of her crops, insufficient to send her six kids to school. Now she collects 50 bags, and she can not only pay the school fees but she also built a new house. Cement constructions rapidly spreading around the area represent a powerful tool to visualise the project’s impact and the improved conditions. Joyce’s next door neighbor is Asheli Mroha. His brick house indicates he was one of the most well-to-do neighbours in Miganga. But sitting on a plastic chair in front of the cracked façade he confessed that his best days may have passed. “At the beginning I didn’t join the project because it was a lot of hard work,” he explained. He was invited to the annual meeting during which the project leaders meet with participating and non-participating villagers to assess the progress made. “I saw that other people of my age could do it, so I decided to join”. For him and the others, climate change played a fundamental role, as it is becoming even harder to survive in this part of Tanzania. Water and firewood are arguably the clearest indicators to measure the damaging consequences of global warming. Women leave their houses around 5am to find these resources. But nowadays they may need to spend the night away. As a result, time has become a resource as valuable as money in the area. When the project installed few water pumps powered by solar energy and started building clay-made stoves in the houses, capable of halving the firewood required, the positive chain reaction was impressive. “Our kids’ health has improved because now we have time to take them to the hospital,” said Atanasio Mnyepembe, from Idifu. Respiratory complications also decreased drastically because the smoke was expelled outside when they cooked with the new stoves. But still his wife, Yunis Msat, enjoys her quality time with friends, but this time “relaxing and refreshing our minds in the lounge”, she said smiling. Women play a decisive role in the project as some of the most enthusiastic early adopters, ‘ambassadors’ and coordinators of the innovations brought to their villages. This female empowerment also had an impact at home. Due to the lack of education and awareness, Atanasio’s admitted he wrongly believed that his wife was not respecting the marriage when she spent the night away. And despite her hard work, she was not allowed to save any money for herself. But that is not longer the case. The list of planned or unexpected positive spin-offs of the project is endless, including Kikombo Youth Group, or leather and milk production to extract more value from the improved livestock. In the past, the farmers never dreamt of producing milk, as their local goats were not capable of it. The improved livestock illustrates the challenge of scaling up. It takes quite some time to generate a cross-breed male goats suitable for the environment. But it is not the only challenge. In some villages like Miganga, the penetration of the project among the villagers is around 60%, explained its chairman, Lazalo George Chityau. For some of its inhabitants, understanding the technologies is challenging, and some others just find the work too tedious. But this is not the only obstacle the project and its beneficiaries face. “Bottom-up philosophy of planning and engagement is critical. That is the overall philosophy around the decentralisation evolution”, said Donald Mmari, executive director at REPOA, a leading think-tank in Tanzania. These efforts at the grassroots happen within the framework of the national development paradigm. One could imagine community-based projects like apps in a smartphone. Their impact can be amplified or hampered by national economy of the broader political context. Even ‘killer apps’ need the right supporting platform and operating system. “Unfortunately, the context within this decentralisation is implemented has made it very difficult to achieve these results,” Mmari added. Resources are limited in Tanzania to build basic infrastructure, and civil servants at regional level lack skills to execute or monitor projects. “This is a large country coming from a very low development base”, he commented. Corruption is another major challenge, as it spreads to all levels. The current president, John Magufuli, made the fight against corruption his number one priority. For him, it is an essential plan of a broader long-term plan to lead the country to middle-income status by 2025. “We are literally at a crossroads in the country. We see positive things, the peace and the stability, the presidents’ commitment to fight against corruption. 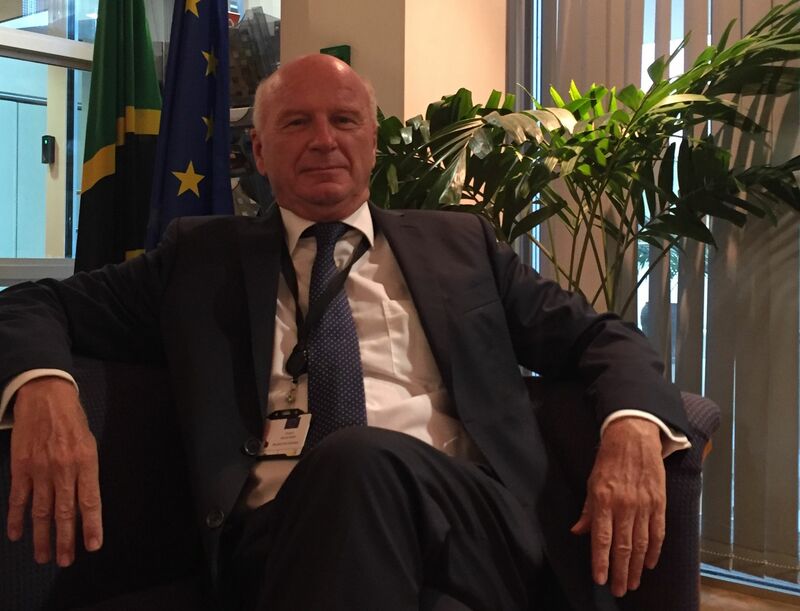 But there are serious concerns regarding the level of corruption at local level, the lack of space for press and political parties and the civil society, and the business climate, which is detrimental for investment,” summarised the head of the EU delegation to Tanzania, Roeland Van de Geer. This senior diplomat, who was ambassador previously in Mozambique and South Africa, questioned that the country may achieve annual 7% of GDP growth needed over the next 25 years to reach that middle-income status. On top of it, Magufuli’s grand vision may be crushed by his own character. “He is the most authoritarian type of the Tanzanian presidents,” said the ambassador, who knows him personally. “He absolutely wants the right thing for the country, but he has to control his anger. Now people are even afraid of discussing things with him. He has to give more space to his ministers,” he added. Last spring, Magufuli sacked almost 10,000 civil servants for having fake education certificates. Van de Geer argued that some of these workers were doing a good job, and they could have been offered a way to legalise their situation. “It is typical Magufuli, he gets so angry that he throws everybody out,” the ambassador explained in his office in Dar es Salaam. But the story also illustrates the main challenge for Tanzania. The country is full of natural resources, including many of the major touristic landmarks of Africa (Kilimanjaro, the Serengeti, Ngorongoro crater, Zanzibar and Lake Victoria). But skills are missing in order to turn the country into the platform that could facilitate spreading Chololo’s lessons across the territory. “The skills problem is often here more serious than in other African countries”, Van de Geer explained. “Our major challenge is our infrastructure gap”, points out Mmari. In the case of skills gap is “unfortunately significant”. “No country in the world can develop without education and skills”, he added. At 30,000 feet high, Adam Kimbisa, a senior member of the ruling Chama Cha Mapinduzi party, admitted the difficulties to transform the country. But he is convinced that the president’s efforts would bear fruit. “The country is really changing a lot,” he said in a conversation during the Dar es Salaam-Dodoma flight. Following an intense career that includes the head of the Red Cross in Tanzania and being major of Dar es Salam, now he combines his mandate as member of the East African Parliament with his new project to support farmers in Dodoma. Because in this region somehow lies the future of the country, for Chololo’s luck. In an unexpected manner, Magufuli’s authoritative drive may become the best ally for the ecovillage project’s self-sustainability once the EU support ends in 2019. Chololo will be just few kilometres away from the designated area for the presidential residence and the diplomatic quarter, as Dodoma is finally becoming the capital after years of negligence. Magufuli has forced ministers and civil servants to hastily move from Dar es Salaam to the growing city by the end of 2017. For the project leaders, this will be the opportunity to pass the torch to the authorities. “That is why we are working with them from the beginning,” said Francis Njau with a big smile. Njau still had another ace up his sleeve. Not only ministers are aware of ‘Chololo miracle’, but Magufuli himself could come to inaugurate next Spring the leather factory that the project is building in Idifu. The leather industry is not only one of the early spin-offs of the project, but also one of the key sectors included in Magufuli’s long-term plan. “It is obvious that Chololo philosophy could spread nationally,” claimed a confident Njau. In Idifu, not far from where the leather factory is being built, Martha Malongo listened quietly while her neighbours explained how their lives changed over the last years. In her case, the project destroyed her way of making money. Her hard work collecting water and firewood for others was no longer needed. But soon she found a more comfortable manner or making more money than before, and still providing energy: she was trained to build the stoves. Those badly needed skills in the country transformed her life and those of her neighbours as she started building the stoves for 3,000 schillings (€1.15), 5,000 schillings outside the village (€1.90). As Tim Clarke envisioned, Martha proved that the right technology, in the right hands, could generate a revolution. Moreover, in times of growing anxiety about the transformation in the developed world, her story also teaches us how to embrace a disruptive future in a fearless manner.